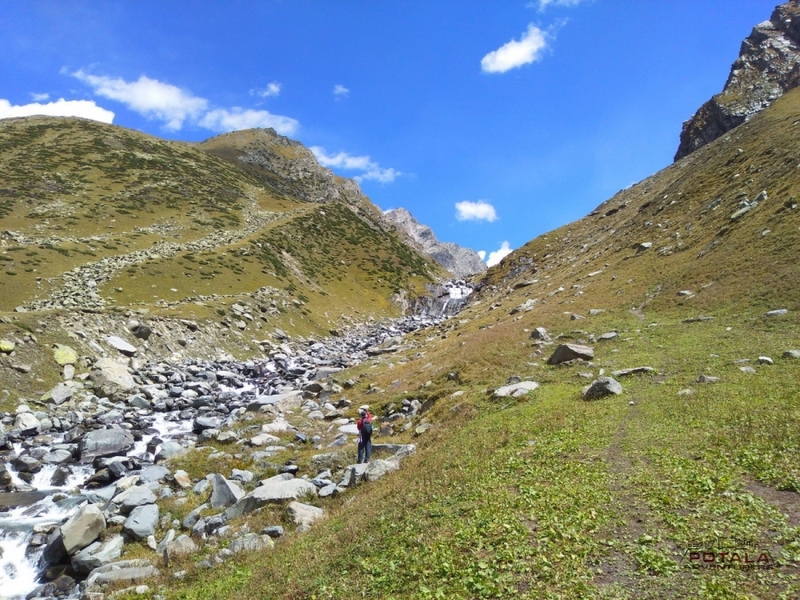 Trek aross beautiful Pir Panjal range into Dhauladhar range of lower Himalaya to remote & lovely village of Bara Bhangal - home of Himalayan sheperds. 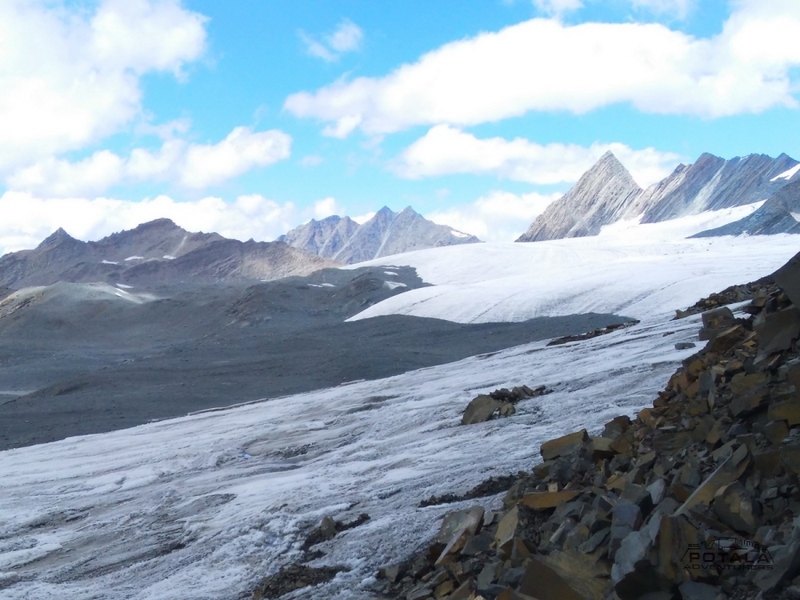 Over craggy passes, pass icy glaciers and ancient monasteries. The Dhauladhar range divides Kullu and Kangra valley of Himachal. 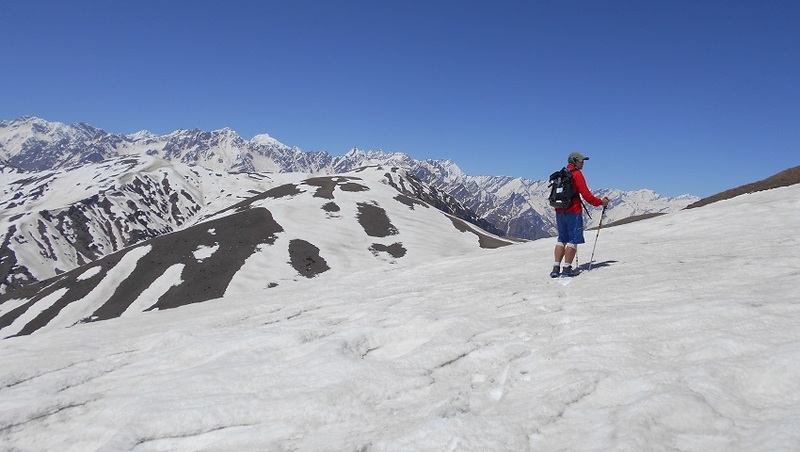 To the north lie Lahoul and Spiti, which have a fantastic range of snow peaks- a mountaineer's paradise. 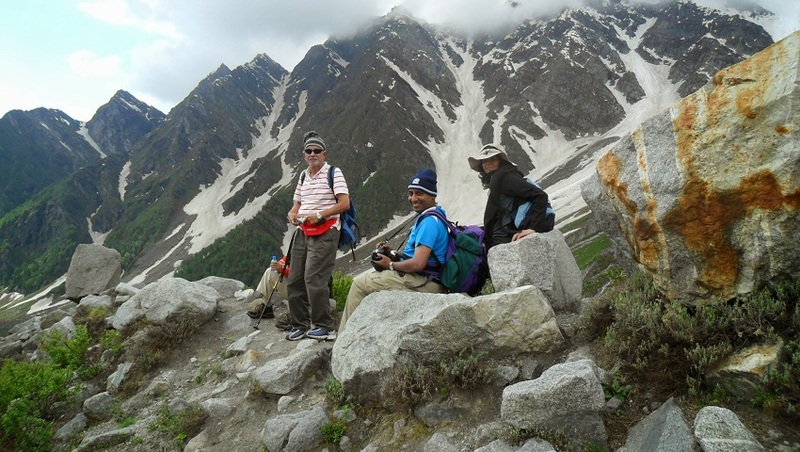 This trek is one of the most enchanting and picturesque, leading from the Kullu valley to scenic Kangra valley over Dhauladhar range of the Himalayas A high altitude trek, anyone reasonably fit will find it an almost dreamlike experience. 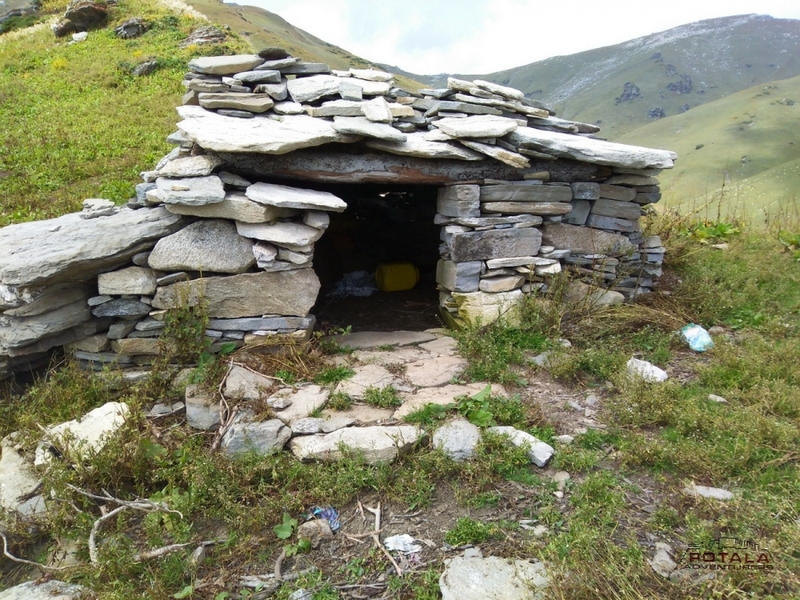 Each day presents a different and startlingly beautiful landscape all lavishly decorated, trek that leaves one with wonderful awesome of the Himalayan regions. The Trek terminates at Bir near Dharamsala: the mini Lhasa in India which is the seat of His Holiness the Dalai Lama. 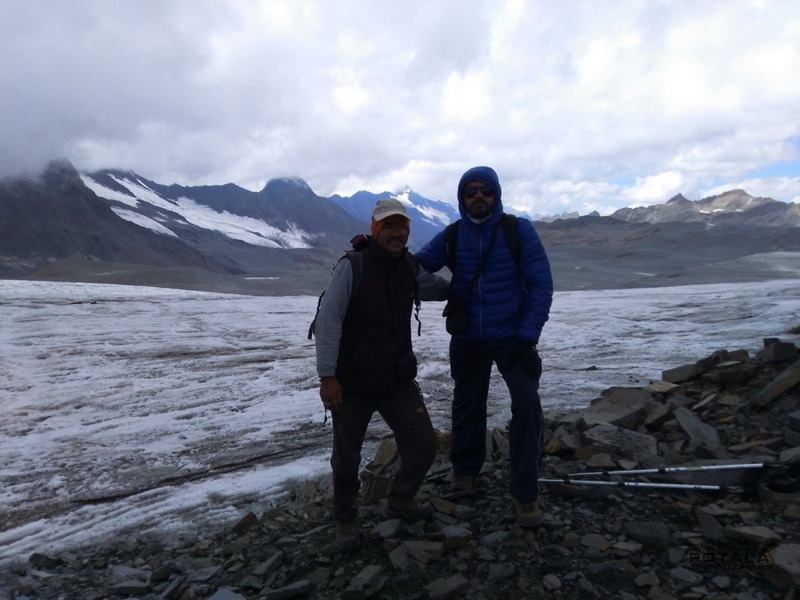 A demanding and challenging trek into Bara-Bhangal region, which still remains cut off from the World by 4500- 4700m high passes and still a very few trekkers find their way here. Day + - Arrive Manali. 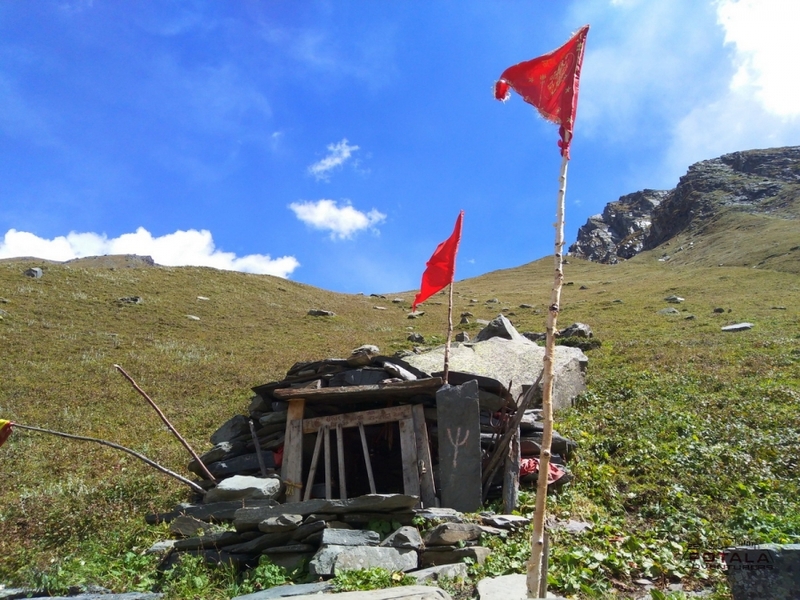 Day 1 - Manali (2040m) trek to Lamadug (3050m), 5 hrs. 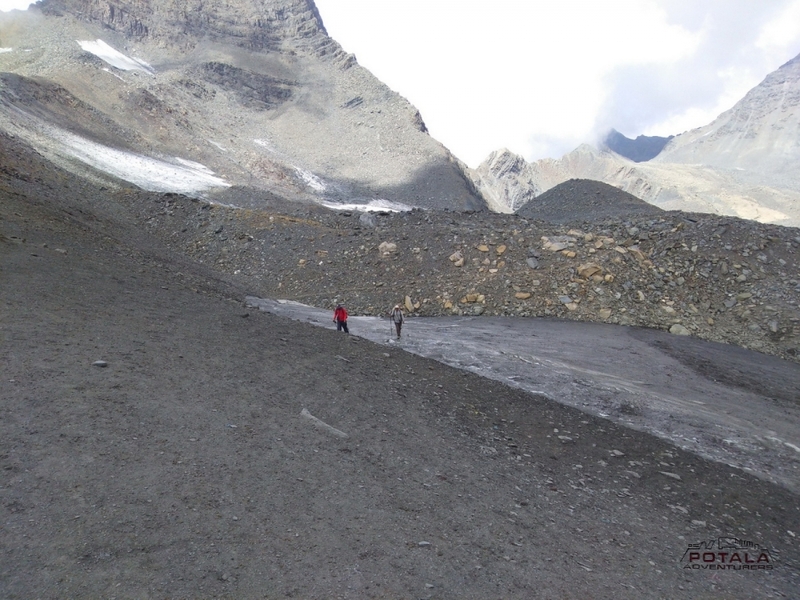 Day 2 - Trek to Khan Pari (4025m) – Riyali Thach (3300m), 6-7 hrs. Day + - Bir (1550m) - Chandigarh / Delhi. Day + - Arrive Manali: Acclimatize. 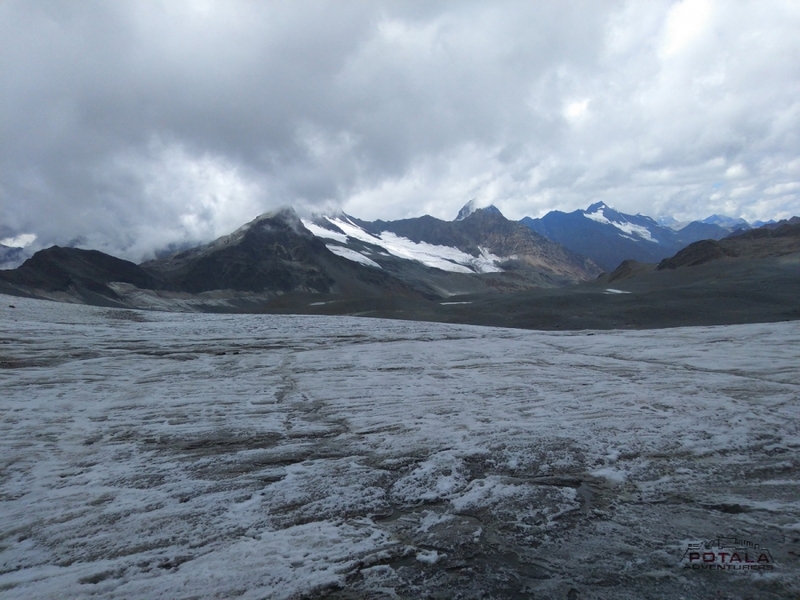 Day 1 - Manali (2040m) to Lamadug (3050m), 5 hrs. 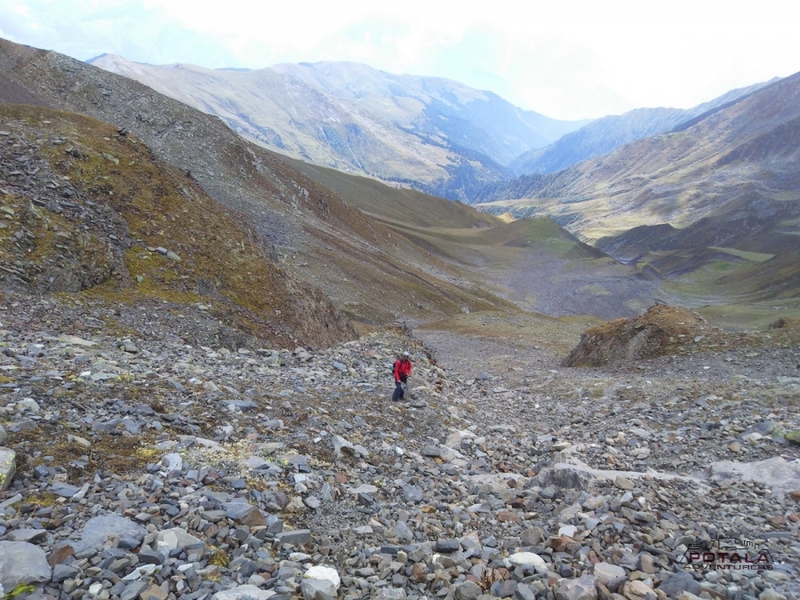 Climb steadily on a rocky path, along a snowy glacier climb moderate slope to the foot of the pass. 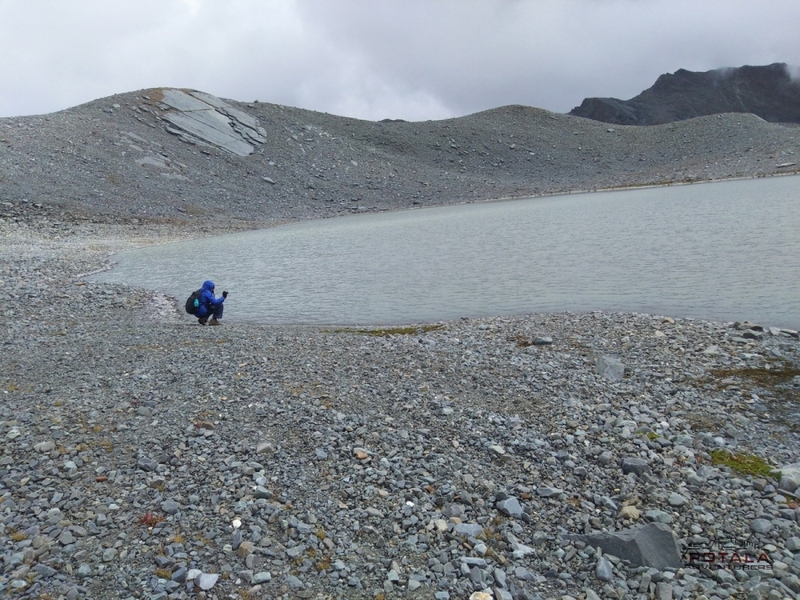 Then climb over glacier is an interesting. 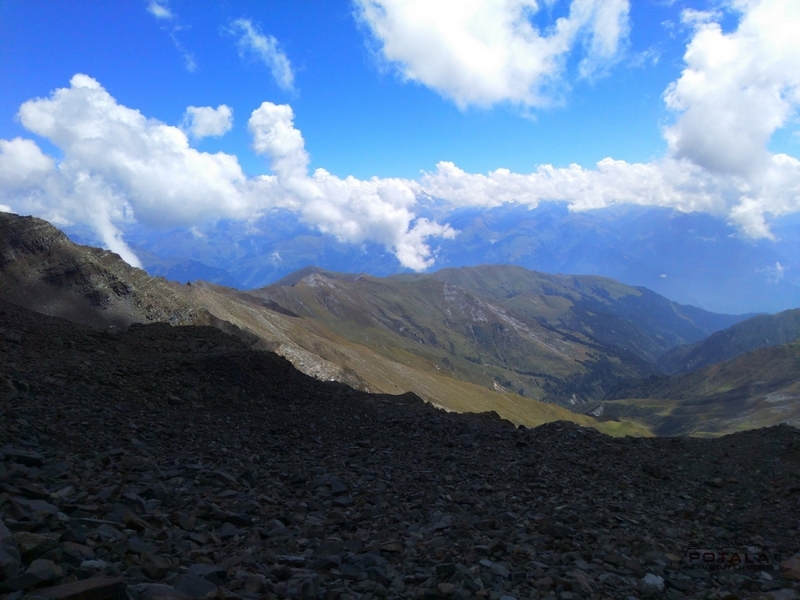 Finally arrive at top of the Kalihani pass (4,640m). From here view around the major peaks of Kullu and Lahoul valley. Crossing the pass, On the descent cross hazardous rivers in various ways: a stone bridge with rope handrail descent is over patches of ice, then follow the small stream which originate from the pass. Arrive at the campsite of Dhan ko thach (thach-locally called meadows). Right bank to Bara Bhangal village. 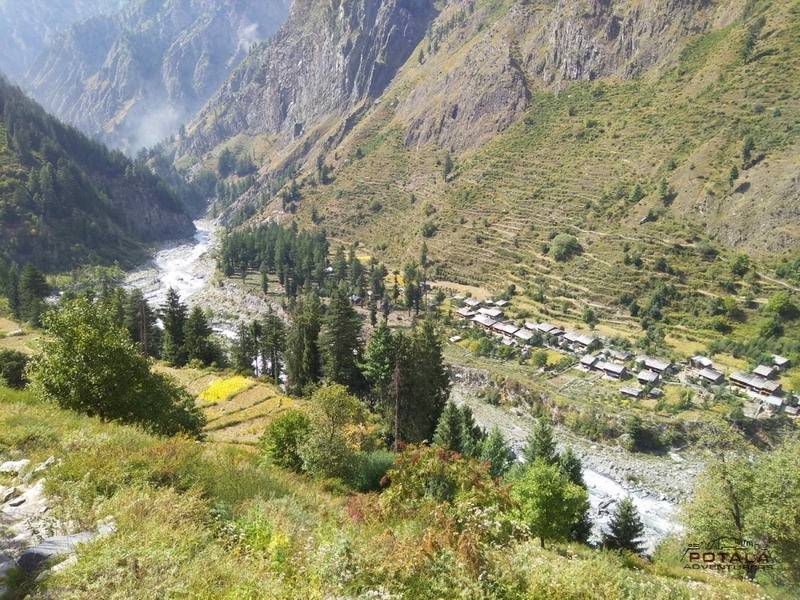 Bara Bangahal is a mid-point of the trek, a village enclosed by the mountains. Gradual walking down in beautiful surroundings, before Bara Bhangal cross a bridge over Ravi River. Lastly arrive at village. 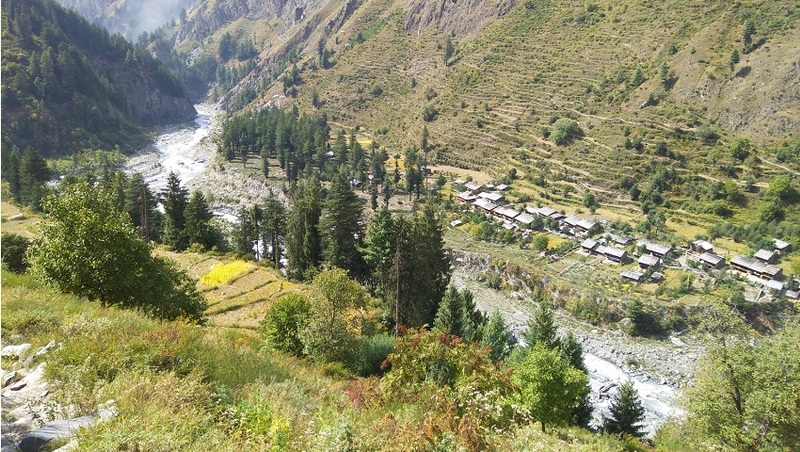 Bara Bhangal is a tribal village inhabited by GADDIS (Shepherds) who claim themselves to be the descendant of Alexander the Great. Gentle climbing after crossing a bridge near Bara Bangahal. 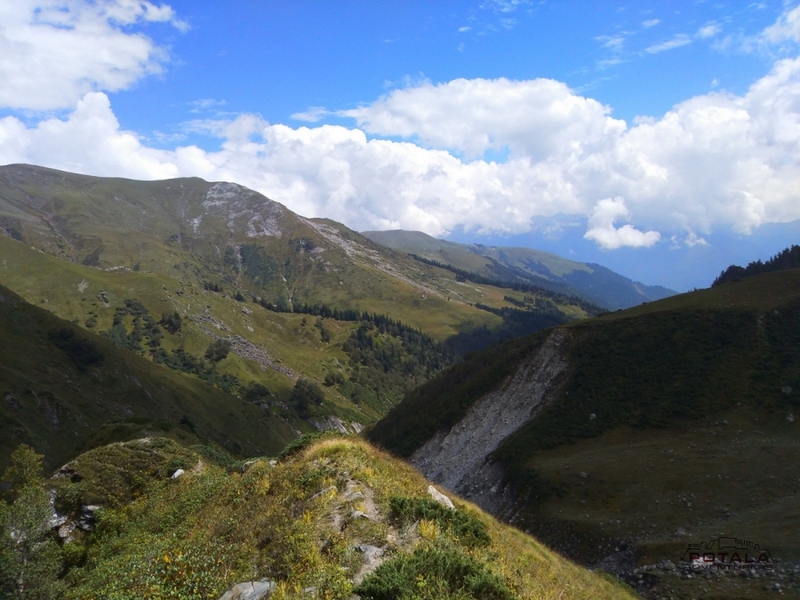 After 2 hours walking through the forest, arrive the beautiful meadows at the base of Thamsar pass. Camp near the stream. 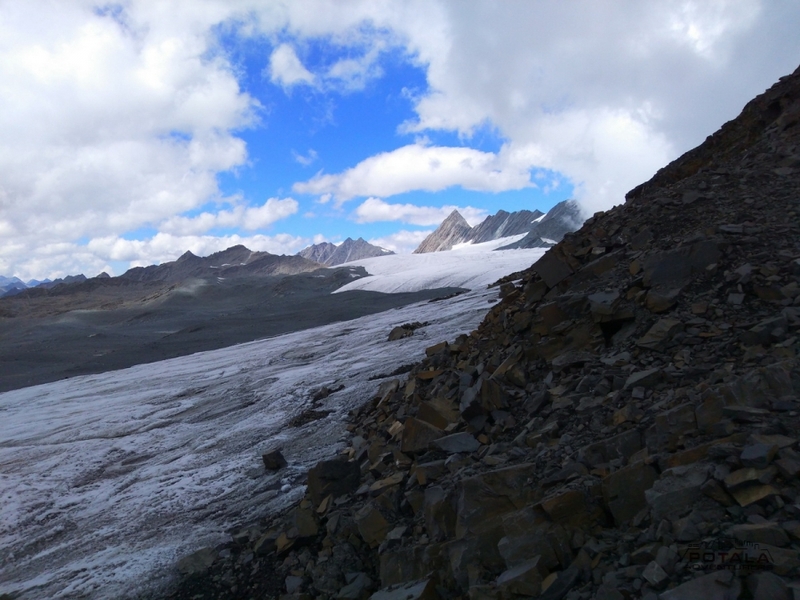 Not difficult but easy climbing through snow leads to the glacier. 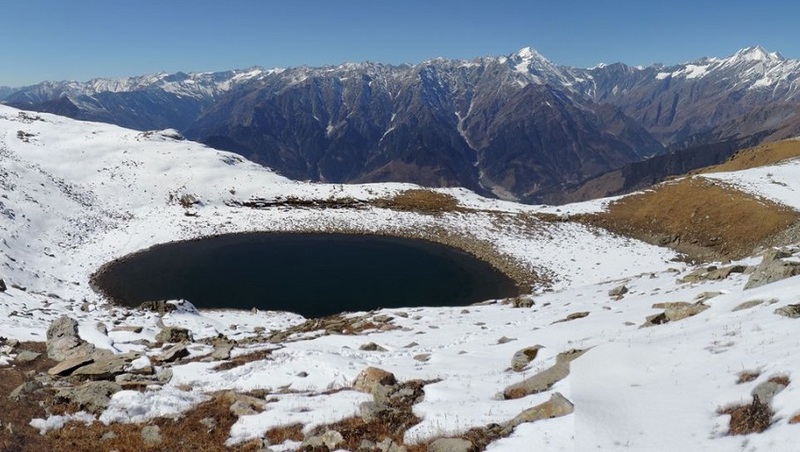 Thamsar pass at 4,700 meters with panoramic view of Dhauladhar range of Himalayas. 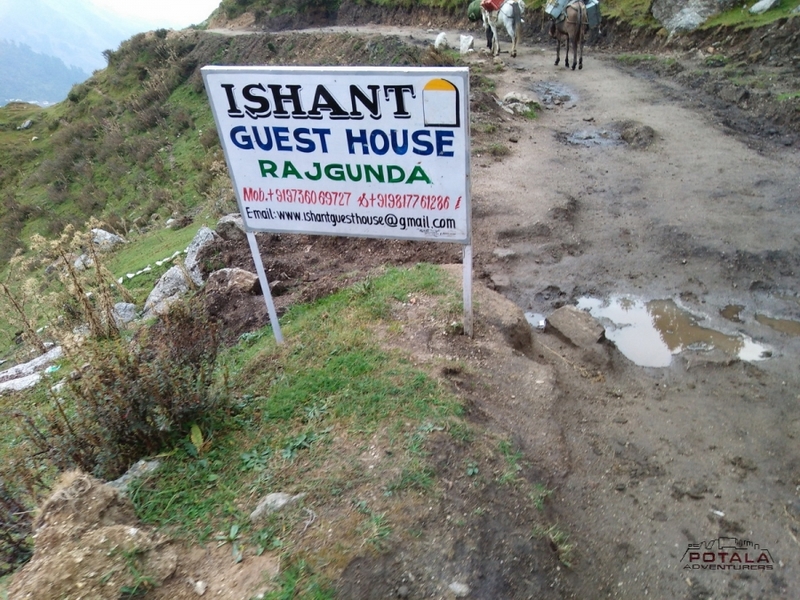 After descending 5 kms arrive at Panihartu campsite. From the camp follow the left bank of Uhl stream for an hour. Then walk through forest and cross bridge near Palachak Deota. Now follow the right side of Uhl, untill you arrive at Rajgunda. 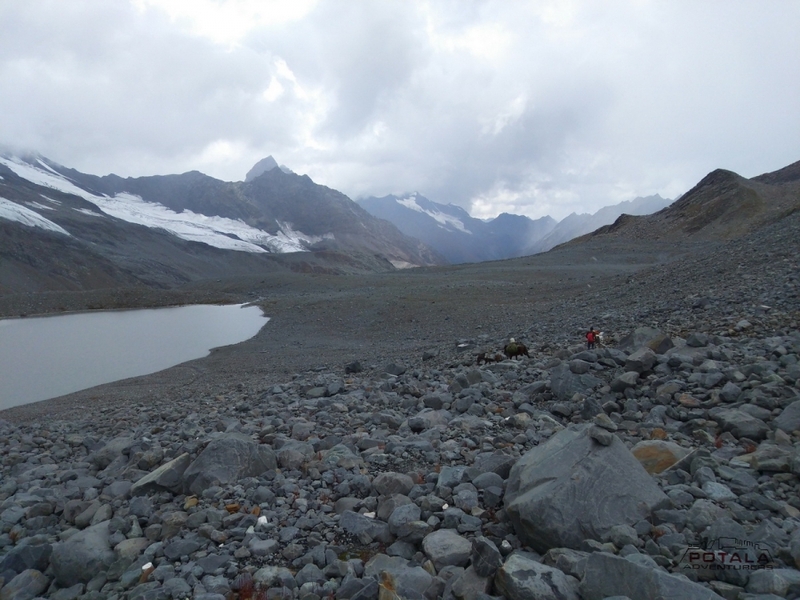 Day 10 - Trek to Billing (2600m) - Bir (1550m) 5-6 kms. Gradual walking down through forest, Billing is the famous for international Hang Gliding sports. Early departure to Chandigarh /Delhi airport or railway station. Fly or train to home. End of our services. Day 1 Arrival in Delhi or Chandigarh. 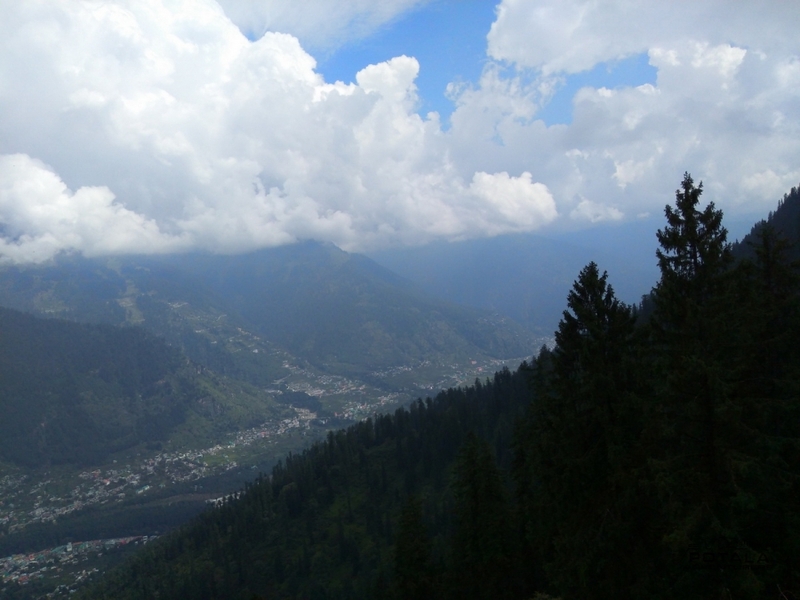 Drive or fly to Kullu Manali. Arrival in Delhi or Chandigarh. 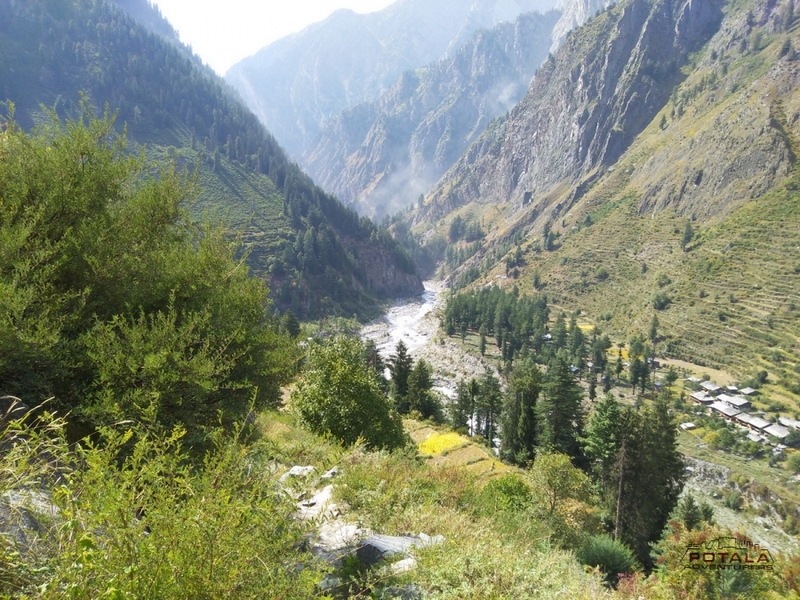 Drive or fly to Kullu Manali. 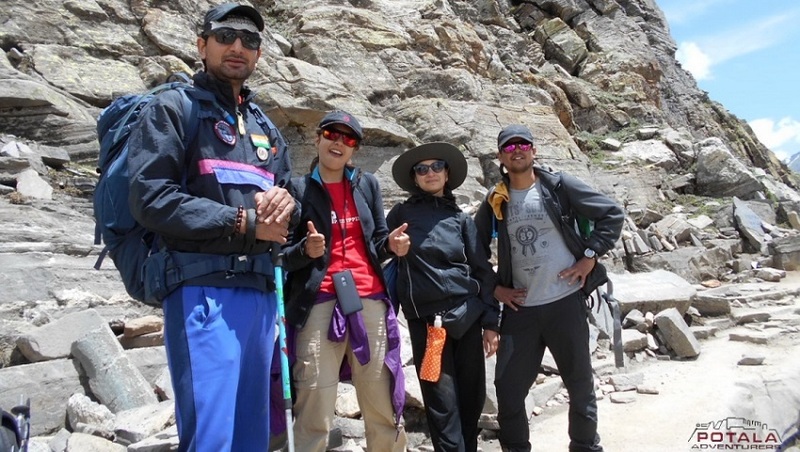 Day 2 At Manali: Acclimatize - visit sights around Manali. 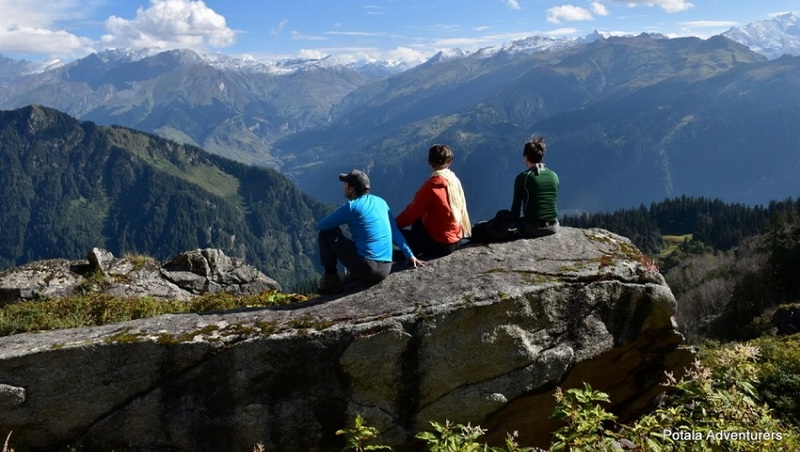 At Manali: Acclimatize - visit local sights around Manali. 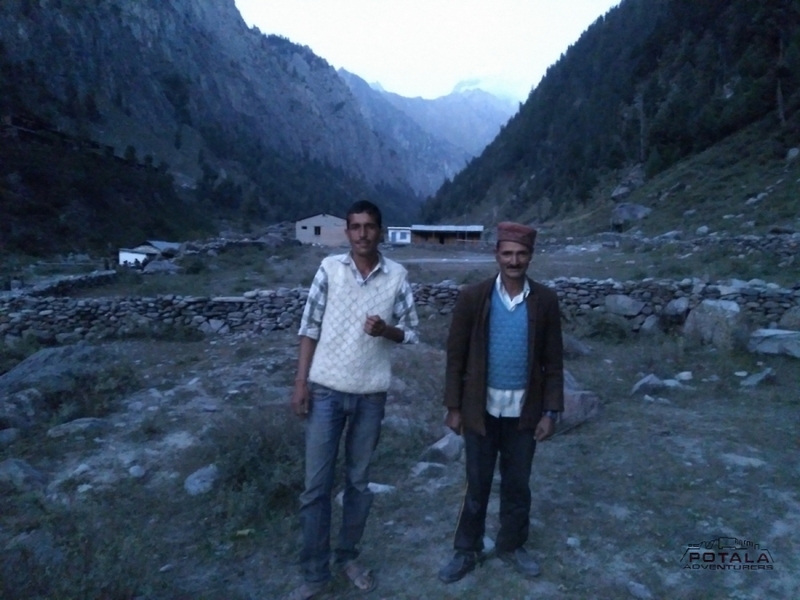 Day 3 Manali (2040m) to Lamadug (3050m), 5 hrs. 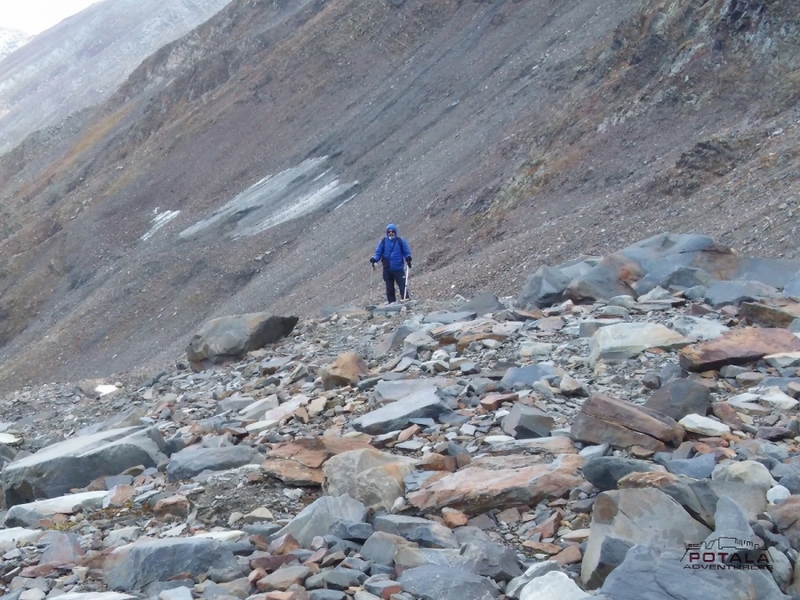 Day 4 Trek to Khan Pari (4025m) – Riyali Thach (3300m), 6-7 hrs. 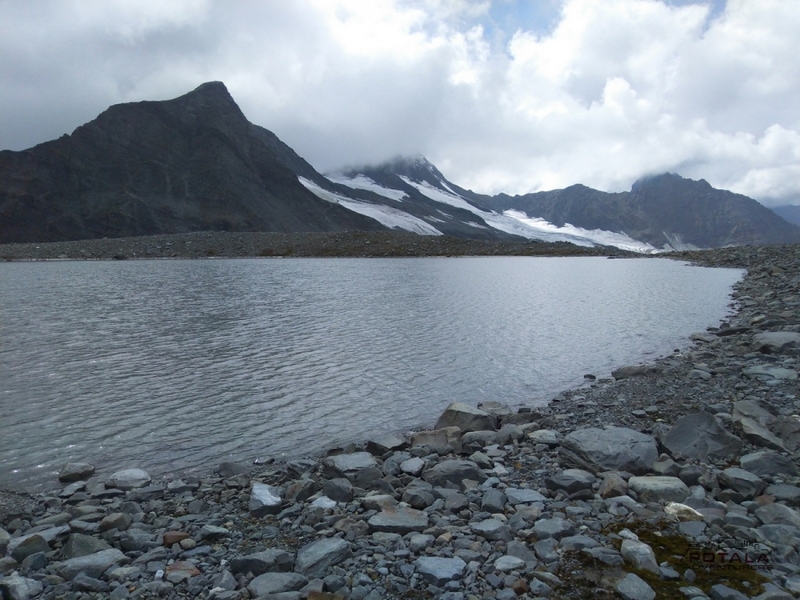 Day 12 Trek to Billing (2600m) - Bir (1550m) 5-6 kms. Enjoy Paragliding site. Day 13 Bir (1550m) - Chandigarh / Delhi.